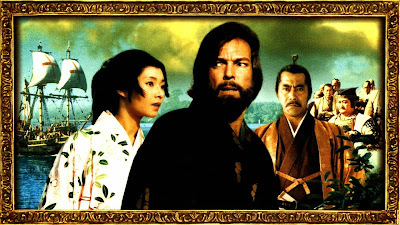 In 1975 the Australian, British, and later to be, American, author James Clavell published his best selling novel Shogun. The story of the exploits of a British sailor, John Blackthorne, arriving in Japan slightly before the decisive Battle of Sekigahara which estalished the Toranaga (Tokugawa) dynasty. In time, by adopting Japanese customs and learning to speak the language, and despite the efforts of the Portuguese Jesuits, he becomes an advisor to the Shogun himself. The book was a runaway success and the subsequent 1980 mini-TV series, starring Richard Chamberlain, was arguably responsible for the mass-market introduction of the VHS video recorder as people couldn't bear to miss a single episode on an evening out (and similarly, I like to believe, how Brothers in Arms introduced the CD player and The Matrix was ultimately responsible for DVD's). The character of John Blackthorne was actually based on the British sailor and pilot (ship's navigator), Will Adams who arrived in Japan somewhat accidentally in 1600 and did indeed become an advisor to the shogun Ieyasu and subsequently his son. Adams became, in effect, a naturalised Japanese citizen, being awarded lands in modern day Yokosuka, at the mouth of Tokyo Bay, for services advising the shogun on western culture, navigation and the construction of ocean faring vessels. Initially barred from returning home being deemed to be of great strategic importance, he rose to such a position of trust within the military command that he was issued with Red Seal Trading Letters (the red seal referring to the wax seal on the documents). He was also renamed Anjin Miura, a Japanese name that translates as The Pilot of Miura, which, in effect, became a symbol of his passing as an Englishman and re-birth as Japanese. 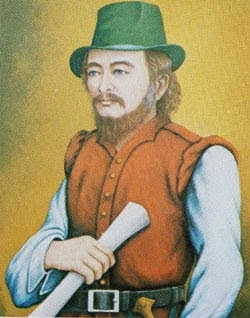 Adams, originally from a village near Greenwich in Kent in the south of England, left both English and Japanese families for whom he provided for from his awarded estates. He decided to settle in Japan and eventually died in 1620 near Nagasaki at the age of 55 following moderately successful trading exploits across China, Indonesia and The Philippines. And then some 370 years later they made a Broadway Musical of his life. And it has to be wondered what exactly would he have made of that? However, it is not Clavell's Blackthorne that has left the lasting impression on the English speaking world. 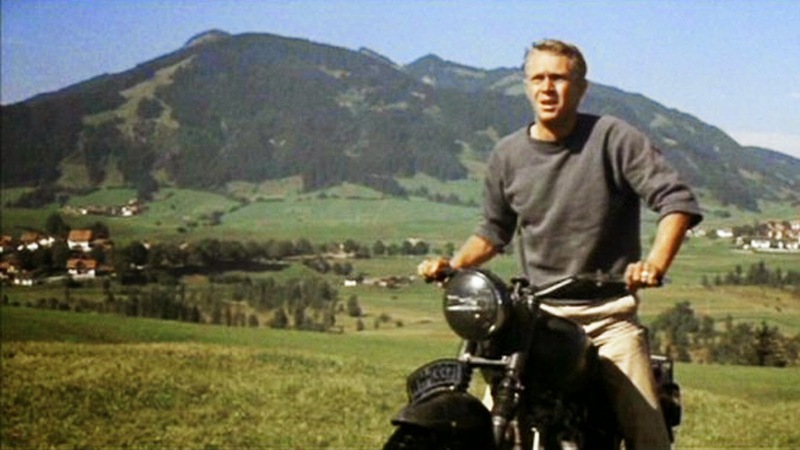 That honour clearly goes to his co-writing of The Great Escape, the epic war movie starring Steve McQueen, James Garner, David McCallum (Ducky from NCIS) et al. The reason being that he created the classic Christmas Day question. Just how many of them did escape in the end? No one, I'm sure, has ever asked that particular question about Shogun. Then again, it was broadcast in Japanese without the aid of subtitles. What Will Adams didn't understand, we shouldn't understand either went the thinking.